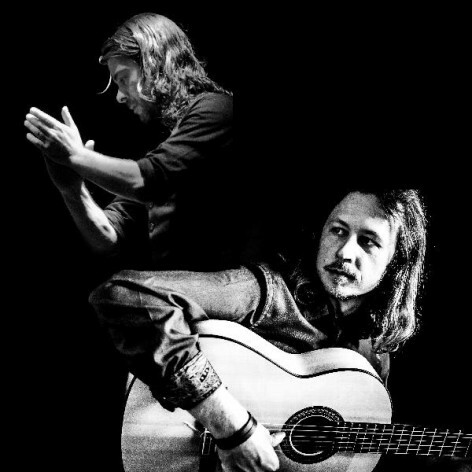 Bandaluzia is a Sydney-based Flamenco ensemble led by ARI-nominated guitarist Damian Wright, consisting of a group of acclaimed musicians and dancers at the forefront of Flamenco, Jazz & world music in Australia. Recently awarded Sydney Fringe festival&apos;s 2013 “Pick of the Festival”, Bandaluzia are known for their sell-out performances in theatres across Australia. Since 2011 the ensemble has also been chosen for Musica Vivas&apos;s Countrywide Touring program. Bandaluzia are revered for their ability to mix elements of other genres into their performances, from the rich harmonies of Jazz to the exotic melodies of the Orient, and for inviting renowned artists to the stage as guests in their performances. Joining Bandaluzia is Johnny Tedesco, principal dancer and choreographer from flamenco troupe Arte Kanela. Bandaluzia feat. Johnny Tedesco is an experience that evokes the senses with the grace of Flamenco.